The 2018 FISAF World Championships will be held from the 16th till 20th of October in ECC Leiden, The Netherlands. Each year the best Sport Aerobic Individuals, Teams and Hip Hop crews are selected to represent New Zealand at the FISAF and Hip Hop Unite World Championship. This year the World Championships are being held in The Netherlands. 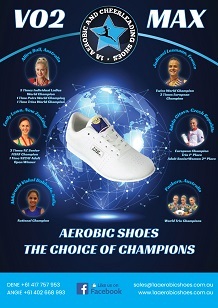 The New Zealand Competitive Aerobics Federation (NZCAF) is the official FISAF International member for New Zealand, we administer the events where New Zealand FISAF Sport Aerobic and Hip Hop Unite Team are selected.